September 15th in Viral, Wordpress Plugins by Wordpress Jedi . Millions of people are active on Facebook on a daily basis. That explains why many businesses are focusing most of their social media outreach efforts on Facebook and Instagram. If you enjoy hosting Facebook events, you may want to add them to your site to further promote them. FB-Eventify lets you do just that. This plugin lets you import Facebook events into your site. 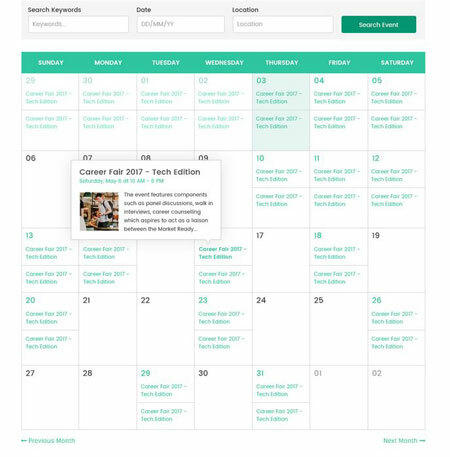 It allows you to display events in Calendar, Grid, List, and Map views. The script can grab events from Facebook pages and groups. You can automatically or manually import events. Google Maps API is also integrated. FB-Eventify is ready for mobile devices. It should work with most themes.